Xin Chào from Hanoi, Vietnam! 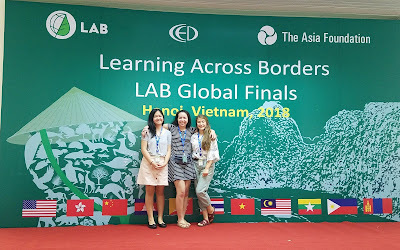 Three Sacred Hearts Academy students: Aubree Davis, Ella blu Pakele and Kammi Nguyen, along with their teacher, Ms. Kinga Wojtas, are in Hanoi, Vietnam, participating in the inaugural Learning Across Borders (LAB) Global Finals. 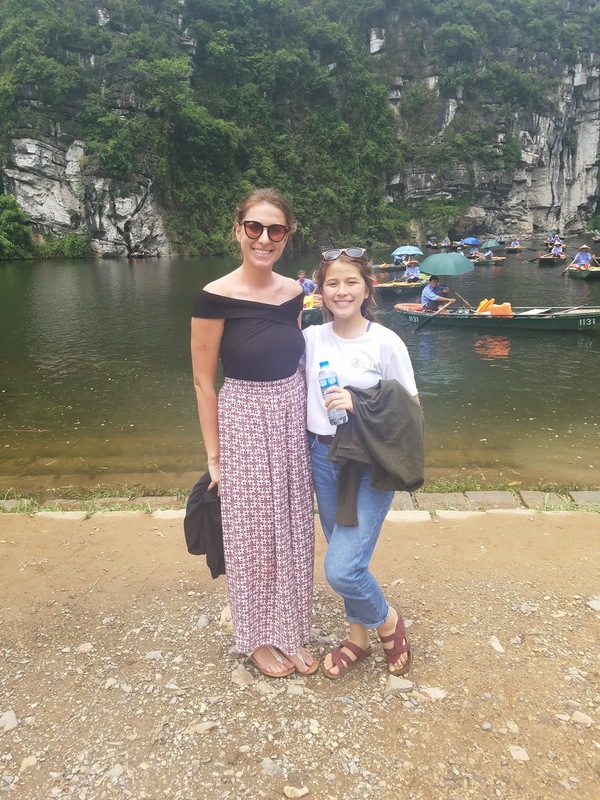 LAB is an educational nonprofit with a program focused on students and educators from various countries in the Asia-Pacific region. The LAB program places focus on promoting four thematic principles: environmental science, project-based learning, student leadership, and cross-cultural navigation. Driven by a network of like-minded educators this program aims to transform educational systems to be student-centered, holistic, and hands-on. Embracing year's theme ("Humans: Incorporating Ourselves Into Nature") Ella and Aubree's project is about genetically modified organisms focusing on plants humans consume; while Kammi's project demonstrates the impact of human consumption on marine life with focus on humpback whales. The LAB program offers a global platform for participants to network with various educators and international students. We wish Aubree, Ella, Kammi and Ms. Wojtas the best of luck in the competition and safe travels home!